During my time with a nascent mobile money venture I was always frustrated at how difficult we found it to work with small businesses. It is not something we suffered from exclusively; I see it when I look at the large number of mobile money operators out there. Much effort is put into enabling large utility bill payments as a way of attracting customers and driving transaction volume. These efforts, undoubtedly important, are often pursued at the expense of enabling payments for smaller businesses. I argue that both are essential and should be pursued in parallel. Let me give you an example. Soon after launch, small businesses were clamouring to meet with us and work out how they could use our product to collect payments. We had small billers, restaurants, and delivery companies all keen to meet with us. They seemed to instinctively grasp the opportunities our product presented before individual customers did. In addition, their needs were broadly the same. One of the businesses that came to us was a gaming company, which ran a Massively Multi player Online Role-Playing Game (MMORPG). Their biggest problem was distribution. Their customers, in order to play, had to visit one of a network of stores that had a computerized voucher system and purchase game time from them. This meant that the company was forced to maintain a network of stores and all the cash management problems that came with it. Their customers were increasingly playing from home and were demanding a means to buy game time, at all hours, from the comfort of their home. Their request was simple. Could we provide an account and access to a real time report? They would do the rest. 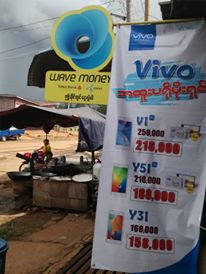 Their customers would sign up for a mobile money account and link it to their game account. 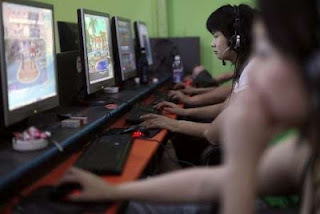 The company would connect the report to their billing system and disburse game time automatically on receiving payment. Simple. This had the potential to transform their business. It would free them from having to deal with a network of stores, allow them to attract new customers and drive usage. Anything that attracted new customers (especially in the youth segment) and drove usage, worked for us. Our interests converged beautifully. There was one snag. Our platform and vendor were unable to meet these very modest demands. I was amazed. We would never have thought to pursue the opportunity with the gaming company; we would not have known it was there. They came to us and that is exactly the point. Mobile money operators need to offer this type of simple functionality, enabling businesses to connect and let those same businesses figure it out. They are not asking for much. If you build it they will come. Remember, they will be far more effective at converting their customer base than the operator could ever hope to be. Mobile money operators cannot afford to be turning anyone away. It is here that I feel vendors have been doing mobile money efforts a disservice. This type of simple flexibility/connectivity should be coming as standard and I don’t see it anywhere. Which brings me to a more general point. Vendors do not seem to understand what mobile money operators are faced with and fail to anticipate their needs. With platforms in multiple markets and years in the business, you would expect more from them. All too often, once the platform is dropped in, they wash their hands. Mobile money is hard enough as it is and vendors are not pulling their weight. Great article Joep. The guys at Kopo Kopo have been wrestling with the same issue but seem to be making progress on providing the middleware layer between platforms and the payment ecosystem. Agree with the points raised and the missed opportunity. We were fortunate to work with a flexible mobile money issuer in the Philippines and to see some new third party players like Kopo Kopo in Kenya and Movilway across Latin America. Superb website you have here but I was wanting to know if you knew of any forums that cover the same topics talked about here? I'd really like to be a part of online community where I can get responses from other knowledgeable people that share the same interest. If you have any suggestions, please let me know. Thank you!